Despite the chill of a pre-winter frost that covered southern Missouri’s now-naked trees with ice, a warmth surged in my heart. I could have never imagined that, last summer, Yah had called me to abandon everything in California -- our semi-comfortable life of cleaning houses -- to save Brother Lee. 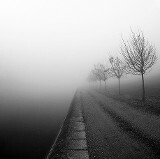 The fog and confusion that had filled my mind for the ninety plus days that we had lived with the pastor was blown away as fiercely as the cold wind that even then blew across the mid-west, indicating winter was soon to sweep the last vestiges of fall away. But now a new problem arose -- where would we go from here? Brother Lee had contacted some friends of his that put us up in a very nice farm house. The rich oaken floors, the warm fire place, the sweet fresh Jersey milk and butter from the cows, all accentuated the love of this family who barely knew us, but trusted Bro Lee enough to take us in. More importantly, the bitterness that had defiled this pastor was now gone, and we had a chance to get our spiritual bearings and recover. One evening, as we sat with the wife at her dining room table, Christmas lights from her newly decorated Christmas tree shining upon us, she asked us about why we did not celebrate the holiday. She was very receptive to the Truth, and I was amazed at how Yah was continuing to use this whole situation for good. I called both my parents, and my father-in-law to let them know exactly what had happened. I asked them both to please pray that Yah would give us direction of where to go. Within twenty four hours, my parents promised to send us $500, and Annika’s father promised to send us $500, more than enough to make the 4 day trip from Missouri back to Oregon. We never asked for the money -- it was simply what had been placed on our parents hearts. This was a miracle beyond miracles. I also called an old friend of mine from Portland, Yochanon, to let him know what had happened. I felt I needed to update him because he had actually visited us at the pastor’s home for a couple of days during Tabernacles. I explained to him the whole story that had transpired. “You and your family can even stay with us until you find a place,” he said. In less than two weeks, Yah had lined up a job for me, given us the financial means to drive back to Oregon, and provided us with a temporary place to live until we could find something more permanent. Annika and I grew more and more excited as the prospect of returning to Portland after more than 3.5 years of being away became a reality. On the morning of our departure, after thanking our kind hosts, we made a final stop at Brother Lee’s. “Thank you so much for helping us out in so many ways,” I said, hugging him fiercely. The journey back was glorious. Though a winter storm threatened to engulf the Rocky Mountains, we made it through with no problems. In fact, like a gate shutting behind us, we passed through Colorado and Utah just ahead of the thick snows. Once again, Yah was placing His Hand of protection upon us. We sang this out mile after mile, as we made the journey back home to Oregon. In standing against the icy bitterness of the pastor and delivering Brother Lee, a new revival had awoken in our hearts, giving us a joy that was impossible to contain. Returning to Portland was unlike anything I had ever experienced. I had become convinced that I would never be allowed by Yah to come back to this city, having fled in disgrace and defeat. Yet, after living in the California and then Missouri wilderness for 3.5 years, Yah had allowed me to return. “It’s hard to believe we are back in this city,” Annika whispered to me one day. During the first few weeks of delivery driving, I was learning the ropes of handling the van, how to fill out the proper forms, and of course using the Thomas Guide to figure out where I was going each day. But one morning, after making a delivery in downtown Portland, my dispatcher notified me that I needed to just sit and wait as there were no more runs to make at the moment. I realized that I was parked right across from Portland State University -- a place I hadn’t visited in 3.5 years. Old memories of my victories on this campus swelled up inside of me. Surely Yah had placed me here for such a time as this. 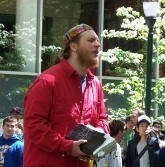 Stuffing my radio phone into my jacket, I jumped out of the van, strode into the park blocks and began preaching. Within minutes, Yah helped me draw a crowd of Muslims, atheists, Christians and pagans. 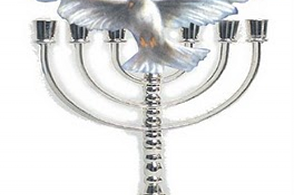 For thirty minutes, I exalted YahShua and the Torah, exhilarated that I had returned to my old stomping grounds. The crackle from my dispatcher radio interrupted my preaching, and I jumped back into the van, ready to carry out my next delivery. For weeks this would repeat, literally allowing me to do ministry while “on the job”. After living for about two months with Yochanon and his wife, and Annika only a month away from giving birth to our 5th child, we still had not found a place of our own. Our primary hold up was waiting on purchasing a house on a beautiful plot of land in Ariel, Washington -- an idyllic property situated with herb gardens, natural springs, and seated in the heart of the Cascade Mountains. But, just before we were convinced that we could close on the house, the underwriter for the lender pulled back due to structural problems with the home. Even though we said we didn’t care -- that the house and property were a dream come true -- we just simply couldn’t get the financing. Annika’s grandparents instead put us in a very luxurious 3 bedroom apartment in Vancouver, Washington, just north of Portland. They were willing to cover our rent, while we got on our feet. I called Annika’s midwife and explained what I wanted to do. She agreed to be “on-call” in case we ran into any emergencies, but after looking over Annika, and seeing everything checking out in a healthy manner, assured us that she thought we were making the right decision. One shabbat, in mid-March of 2007, Annika now a week overdue, we decided to head to one of the tallest waterfalls in Oregon. “If it brings on labour, then it’s worth it!” She said. We hiked to the very top, Naomi and Miriam in our double stroller, Isaiah and Elijah walking along beside us. The hoped for labour did not materialize, but we did enjoy a beautiful shabbat hike and treasured the bird’s eye view of the gushing waterfall and Columbia River. But a week later, in late March, our 5th baby, Malachi, would not hold back any longer. With the children asleep, my wife experienced one of her easiest labors, only a few hours long. I wasn’t exactly sure how to remove the placenta, so I just continued to rub my wife’s stomach, hoping it would come out just as I had seen our previous midwives perform the feat. But nothing seemed to work. Finally, I said -- “Honey, stand on the blanket. And stomp your feet.” As she did so, the placenta slipped right out. Annika and I weren’t sure what we were more proud of -- our little baby boy or the fact that we had just delivered him all by ourselves. Passover that year was a festive event. We invited Mark, the student who had given his heart to Yah back in 2002 while I was preaching at PSU. Also, a musician and his fiance attended. The musician had heard me at PSU and had been encouraged by the preaching. Passover also happened to fall on the 8th day from Malachi’s birth that year. To this day, I don’t know how Annika did it. In the space of eight hours, children in tow, she brought Malachi to a naturopath to have him circumcised, stopped by a farm in Hillsboro to pick up a freshly slaughtered lamb, roasted it over an open fire all day, and brought it home by evening for the Passover Feast. I had to work the whole day doing delivery driving, and had even gotten stuck with a last minute twilight delivery, forcing me to get home later than I had wanted. I was stunned to see all that Annika had done. A few weeks after Passover, we had a major problem hit us head on. Little Naomi’s legs were looking very purplish and she was crying non-stop. Crying out to YahShua for an answer, I immediately received revelation. I told Annika to mix some purified water with some trace mineral powder that we had. As Naomi began drinking this, the legs returned to normal within about 5 minutes. I was rejoicing at this healing mini-miracle! But Annika’s grandparents were not happy at all. Her grandfather sent me an email, asking us to take Naomi to the doctor for a check up. I responded that we didn’t need a doctor, that Yah had given us revelation and that it had worked. The sudden disagreement resulted in Annika’s grandfather refusing to continue to pay our rent for the apartment we had been living in. I think we could have probably continued to afford the rent by creatively managing our budget, but I got a thought in my head about living in a tent to try and save finances. To this day, I don’t know what I was thinking -- but during the month of May, all 5 of us lived in a tent on a farm in northern Oregon. Though the children absolutely loved the living situation, I could tell this would not work. My commute from the farm to Portland was over an hour and a half each way, and Annika -- though good spirited about the situation, was not pleased. By June, we found another apartment in Oregon, and moved everybody in, but the tension between Annika’s family and me was still very tight. Still, from the frozen wilds of Missouri, to the 4 day journey home, to the delivery of Malachi, to living in a tent, Yah proved over and over again one very important thing -- He was always with us, always protecting us, always helping us.